Summer is officially here! For many folks, this is the time of year to take that adventurous trip or relaxing vacation you've been dreaming about. Sometimes, however, a staycation is closer to reality. If you're traveling near (not far) this year, consider trying a little armchair travel with crafting inspiration from around the globe! Saori Weaving is a freeform weaving technique from Japan which was recently featured in Handwoven Magazine; it can be done on a portable rigid heddle loom and is a great technique for beginning weavers. More than simply a technique, Saori weaving is a philosophy that focuses on individuality and creativity rather than trying to create a "perfect" looking woven cloth. Another portable craft that is popular right now at The Woolery is Kumihimo, the art of Japanese braiding. A special stool (called a marudai) is used to support bobbins and hold the working threads. Many bobbins can be used, to create very complex braids. Pet leashes and collars are just a few of the useful projects you can make with this exciting technique! There are many South American cultures with a rich weaving history as well. 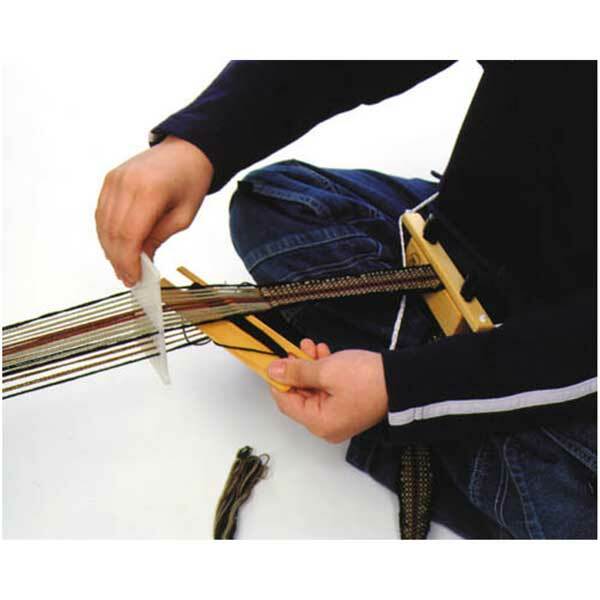 ; a portable backstrap loom (shown at left) is a great way for novice weavers to start exploring these traditions by weaving colorful sashes, straps, and bands. Spinners can travel the globe with fibers from a variety of locales: Louet's Canterbury Prize Wool fibers are raised with care in New Zealand, or perhaps you'd prefer to sample British sheep breeds such as Herdwick, Masham, or Shetland (just to name a few!). 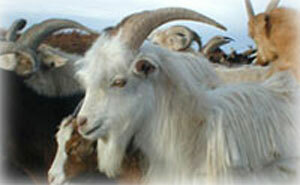 Traveling eastward, you can indulge in Mongolian Cashmere fiber, which is among the softest and best in the world: it is hand-combed from each Cashmere goat (shown at right) in the spring as the weather warms and the undercoat naturally begins to shed. Another exotic fiber to try spinning is Muga Silk top, a 'wild' silk from the Antheraea Assamensis worm which is native to the Assam region of India. Traditionally only royalty was allowed to wear the golden fabric of Muga silkworm!